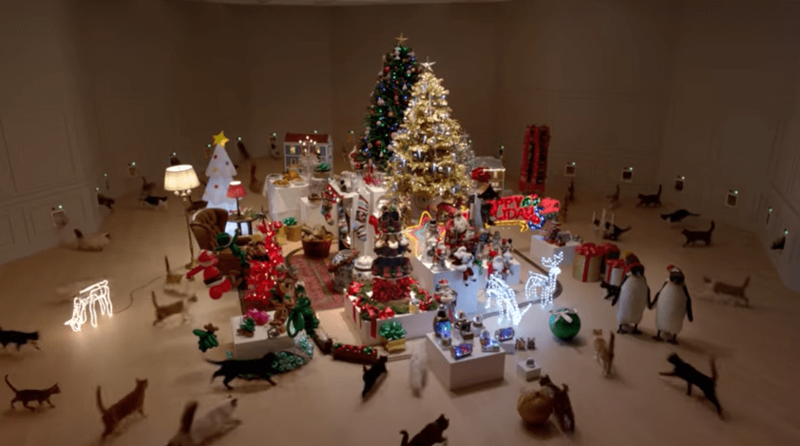 This Christmas ad featuring twenty-two adorable cats and kittens speaks directly to anyone who’s had a cat attempt to tear down the tree. 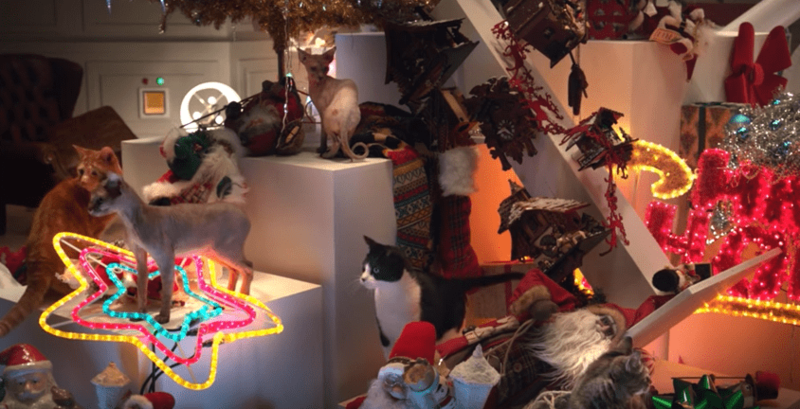 The horde of hungry, destructive felines are unleashed upon a sweet Christmas wonderland that includes a tree adorned with decorations, a delicious spread, a holiday train, and yes -presents! 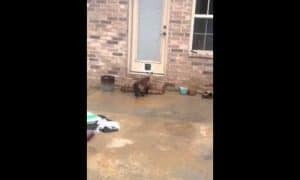 Anyone who has a cat can imagine the hilarious cat-tastrophe that occurs! 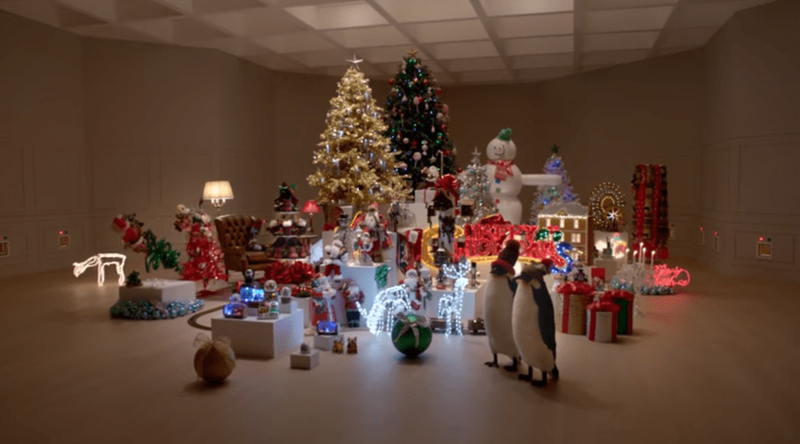 According to AdWeek, the holiday wonderland set took five days to build. Twenty-two cats and kittens trained for three weeks, and were filmed for three days tearing the set apart. It was worth it! This has quickly become one of our favorite cat ads of all time!. 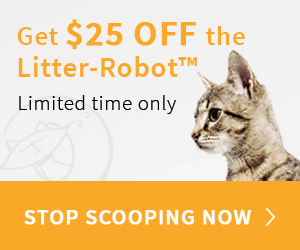 Wanna see some more great ads featuring cats? 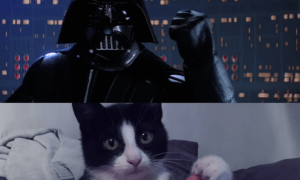 Then don’t miss these incredible Super Bowl ads featuring cats! 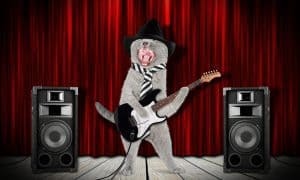 Meowtallica: An All-Cat Remix of Classic Metallica Songs! That is a GREAT commercial and so very true! I shake the bag and all of mine coming running from where ever they’ve been! the nth degree. Let’s give a rattle for Temptations! D.L. Very good advertising , those starved babies deserve to be fed . Three weeks to train them ? Much to long . Temptations, does the trick for a treat in this house ! Merry Christmas to your team , I appreciate getting to view your video .